Want to show off your Bangaliana in your clothes? Machh Bhat has got the perfect line-up for you. Bong humour is something that only a true Bangali will get. 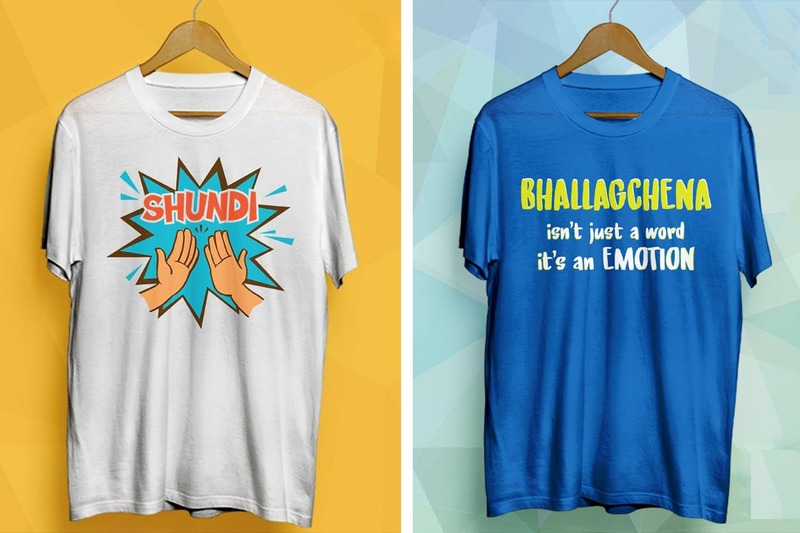 Kolkata label Machh Bhat is taking ‘Bongness’ to a whole new level with humorous typographic clothing at steal deals! From the Bengali love for 'lyadh' (laziness), to the legendary Bengali ‘daak naams’ (nicknames) to the ‘bhalobasha’ (love) for ‘pash balish’ (side pillow), we love how this brand has turned all the nooks and crannies of Bengaliana into swag. Created by Sayantan Guha, the brand started designing clothes from 2017. Hirok Raja to 'Khola Hawa' - there' sinspiration of all kinds to be found in these solid-coloured tees. All the designs are available for both men and women. The variety is not a lot, but don’t worry, they have plans of expanding. Also, if you like any particular post on their FB page and would like it printed on a tee, they will do that. Winter is gone, but you can check out their range of printed hoodies that come with seriously punny lines.